Stay in the dry zone with exceptional moisture control. Crafted from Dri-FIT fabric, this new sport shirt keeps you cool and dry. The stitch-trimmed gussets make a distictive statement and allow for easy movement. 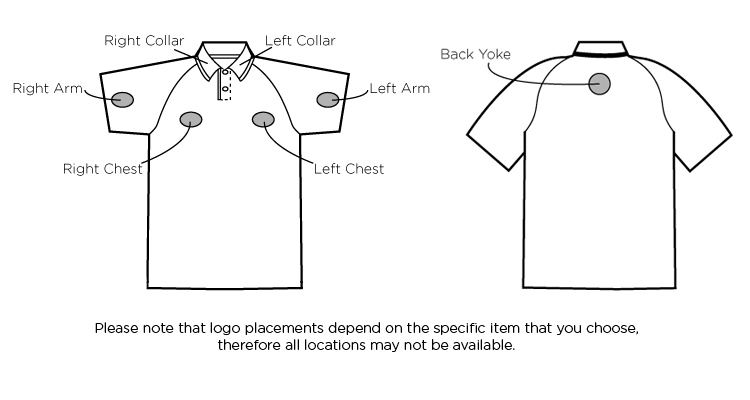 4.01-ounce, 100% polyester Self-fabric collar 3-button placket Open sleeves Contrast Swoosh design trademark embroidered on left sleeve. Price includes embroidery in up to 6 thread colors & 8,000 stitches.